How Telehealth is Transforming the Healthcare Industry - Berkery, Noyes & Co., LLC. The telehealth market is growing significantly as integrated services gain in popularity. Virtual doctor visits are becoming more widespread with email, video conferencing, phone, and other forms of communication offering an alternative option for non-emergencies. Healthcare institutions are investing in various areas of information technology such as electronic health portals, consumer focused applications, remote monitoring of test results, and digital image transmission. Among many areas of the healthcare industry, there is major innovation occurring in psychiatry and neurology. Telemedicine is having a positive impact on mental healthcare as behavioral health professionals connect with patients in real-time, which is particularly important given that treatment for mental illness has long been underserved. Moreover, remote psychiatry services can reduce costs by having patients avoid emergency room or other hospital visits. As for neurology, stroke specialists can remotely diagnosis a patient by working in tandem with emergency room and nurse practitioners. In addition, telehealth provides an opportunity for patients in rural communities to access medical expertise that they might otherwise be excluded from. One increasingly important component of telehealth is mobile healthcare (mHealth), which has the potential to help foster a more efficient healthcare system. This concept is especially relevant given the greater focus on implementing a value-based delivery model. For both healthcare payers and providers, mobile technology can improve administrative efficiency and accuracy. This pertains to billing, scheduling, claims processing, and other workflow issues. Incentivizing better healthcare outcomes and other cost saving measures through Accountable Care Organizations (ACOs) is another opportunity for mHealth adoption to become more widespread. Meanwhile, patients are interested in access to medical information and want more control over their healthcare options. mHealth can also improve preventive care. Patients for instance can use mobile technology to better manage long-term conditions such as diabetes and hypertension. Weight loss applications that record caloric intake and fitness applications that measure calories burned during workouts are two such examples. Mobile applications capable of monitoring blood glucose levels are serving as useful aides for diabetics as well. Challenges to mHealth adoption include security concerns and regulatory uncertainty. mHealth systems tend to be fairly open and operated on a variety of computer networks, leading to vulnerabilities associated with identity protection and sensitive behavioral information. Hurdles also need to be overcome when integrating mobile technology into existing IT systems. Nonetheless, the technological advancements in mHealth are fostering conditions favorable to increased patient engagement and adherence. New diagnostic tools that allow for easier interaction with physicians can help with wellness and preventive health. Likewise, medical professionals who use mobile technology to collect data from their patients and improve point of care documentation efforts are also benefitting. Traffk’s acquisition of Capsci Health, a HIPPA compliant mobile technology platform that personalizes health plan members’ benefits, allowing them direct access to their plan’s benefits, ID cards, preferred providers and telemedicine. Telehealth has become integral part of a patient centered and value oriented healthcare delivery system. There are several factors that could further spur the adoption of telehealth services. Requiring private insurers to reimburse telemedicine at the same cost as in-person service would go a long way in promoting telehealth. The different regulations and guidelines between states has made delivery challenging in certain instances. Furthermore, although a majority of states have some sort of parity laws, Medicare only covers a limited number of telemedicine services. In terms of access to telehealth, it’s also imperative that convenience does not supersede quality. When examined in totality, telehealth offers substantial promise and technology companies in this space should continue to garner strong interest from both strategic and financial acquirers. 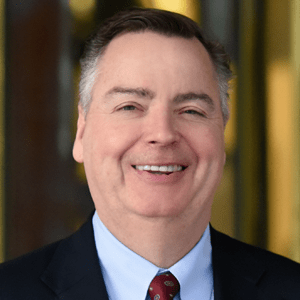 Tom O’Connor is a Managing Director in the Healthcare Group at Berkery Noyes. He has over 20 years of investment banking experience, recently representing notable companies such as Verisys in its growth investment from Spectrum Equity and Cressey & Company and Panacea Healthcare Solutions in the sale of the company’s revenue capture and coding and documentation divisions to Career Step. Tom holds a BS in accounting from State University of New York at Binghamton and MBA from Fordham University.